You will also get to visit Kakum National Park, Boti Falls & Kumasi, and Cape Coast & Elmina Castles. Join our unique program, contribute and engage in global outreach. A 5% processing fee is added for payment by credit card. Price includes a non-refundable $100 deposit fee. For check or money order payment questions, call Dr. Elizabeth Essamuah-Quansah or Mac-Jane Crayton, Office of Outreach Global, 334-844-5716 or email: outrglb@auburn.edu. For credit card payment questions, call (334) 844-4782 and speak to Cathy or Leslie. Students and all participants will be responsible for their own flight to and from Ghana but Outreach Global office will send preferred Delta flight number and itinerary for consideration. Using the independent agent means, in case of any flight issues, the agent will deal and resolve the issues on your behalf. Individuals are welcome to use their SkyMiles/miles to purchase personal ticket without using the agent. "I had an amazing time in Ghana. We did so much in those few days. I could easily say my experience at Cape Coast Castle was the most powerful and eating breakfast/ dinner on the beach was the most relaxing. My favorite part of the trip was visiting the kids at school and being able to interact/ observe them in the classroom." 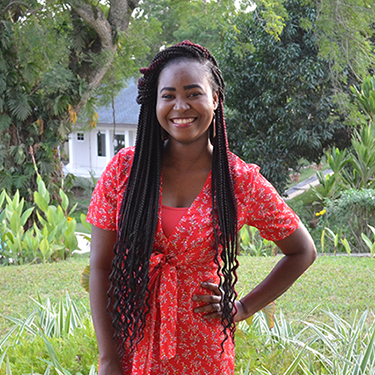 "I set out to Ghana with an open mind and an eagerness to experience another culture, but nothing could have prepared me for the experiences and insight I’ve gained from going to Ghana. 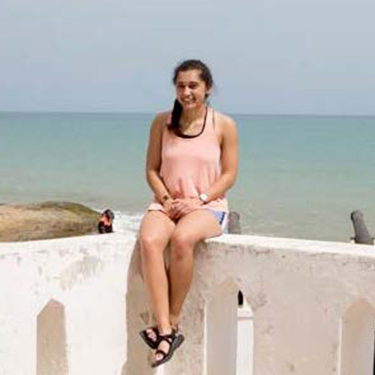 From exploring a rainforest, seeing historical sights, visiting beautiful beaches, and exploring the fascinating capital city Accra, plus all of the wonderful people I met along the way, it was everything you could ask for of a Spring Break and more." 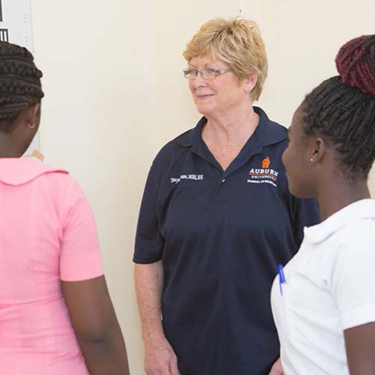 "Working in Ghana with the University of Cape Coast (UCC) was quite the experience, especially while connecting with the UCC College of Distance Education (CoDE). During several meetings set-up by Dr. Elizabeth Essamuah-Quansah, the Coordinator for Outreach Global, I was able to embark with others on the search for how to help future students in the online learning environment. After several discussions with the UCC CoDE on online teaching and learning, it was clear that both universities can learn from one another. As a society, Ghana is a sight to behold. From the city to Kakum National Park to Cape Coast Castle, there is something for everyone. Cape Coast Castle helped me understand what life was like for some people during its operation [as part of the trans-Atlantic slave trade]." "My trip to Ghana was one that I am still learning to describe with words. I was exposed to such a different culture and witnessed something breath-taking at least once daily, for the duration of the trip. Through the knowledge that I gained, I am able to inform my family and friends about the things I witnessed. My encounters completely shifted how I think about most things I deal with here in America. It is an experience that I will certainly never forget." "To define our trip to Ghana in few words, it was eye opening. What an amazing experience to go to another country where people live simpler lives with less value on material items. From the moment we got there, the locals were going above and beyond to show their kindness to us; not something we see in our everyday lives. We got to go to two different hospitals and help out at two community clinics. There were hundreds of people who could not afford adequate health care that were lined up for the clinic to check on their health status. It is always a joyous thing to realize that you are caring for someone medically and educating them in a way that will help them lead better and healthier lives after. This really showed me what I take for granted a lot. One man with appendicitis could not afford surgery to get his appendix removed and was just going to be sent home, and probably would not have survived very long. We had the chance to all pitch in money and pay for his surgery (a little less than $200 total). Although we could not help very much at the hospital, I could not believe that we made that difference in his life. Throughout this whole trip, I got to realize see how amazing it is to be able to help people in ways that they could not have imagined they would receive help." "There are very few words that can describe the sheer magnitude of what this trip meant to me. There is something so pure and genuine about caring for people in a way that transcends dialect and cultural norms. Many of my friends and family stated that they were proud of us for going overseas and helping individuals that have inadequate access to healthcare. However, little do they know that the Ghanaians I interacted with made an even greater lasting impact on my life. 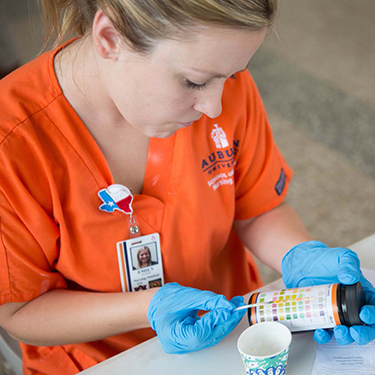 Auburn University School of Nursing places heavy emphasis on going out into our surrounding communities to provide care, rather than having those individuals come to us. 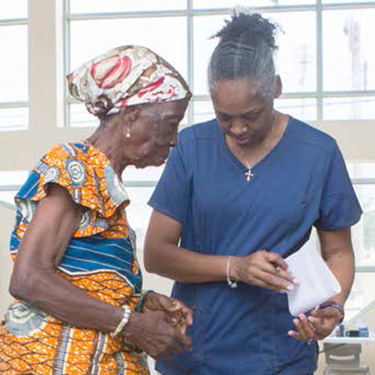 We were able to bring over that same mindset to the physicians and nursing staff at the University of Cape Coast." 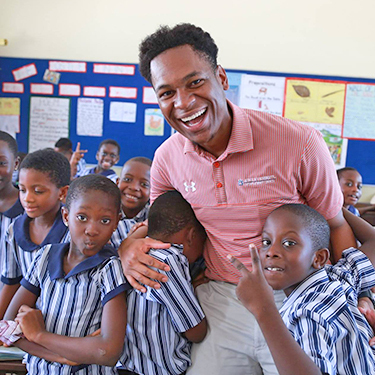 "If you are looking to step outside of your comfort zone, to serve an underprivileged population internationally, Ghana is definitely the place to go. For me, it was such an incredible experience to volunteer where it is really needed. 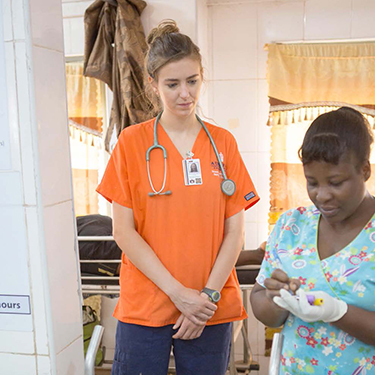 Being able to work alongside the Ghanaian people, in the local hospitals and villages, was life changing. The people of Ghana were amazing and it was very exciting to see how much they appreciated the service we were providing. Ghana is a beautiful country and I am truly blessed to have been given the opportunity to experience the culture there. I would like to thank Auburn University School of Nursing and Auburn University Outreach Global for collaborating to make the trip possible. This trip has certainly given me a new perspective and I look forward to using this experience throughout my nursing career." 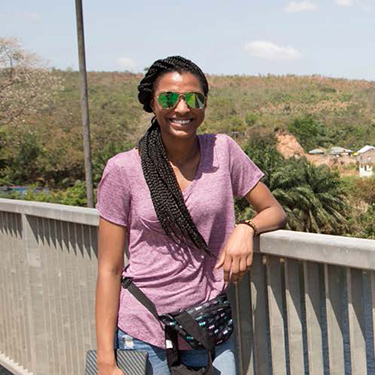 "My time in Ghana was a once in a lifetime experience that allowed to meet and work with wonderful people, while also experiencing and learning about a beautiful culture that is full of smiles and color! 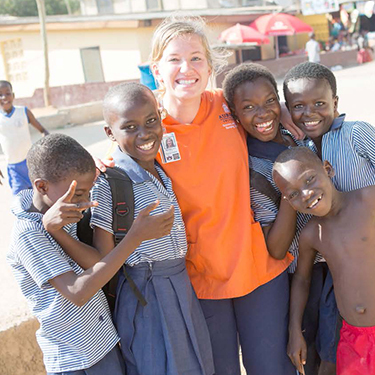 As a future nurse, the time spent providing care to another culture in an international setting and learning about the healthcare system in Ghana was invaluable to me. I came back from this trip full of gratitude and insight, more confident in my abilities as a nurse and excited about the opportunities nursing can offer in a global setting. I will never forget the people I met and the experiences I made on this trip and would absolutely encourage anyone considering this trip to take the leap; you will not regret it!" "Where do I even start...this trip was incredible!! Not only did I learn so much about Ghana, but I also learned a lot about myself and made some new friends along the way! The food was great, the people were friendly, and the beaches were beautiful! Participating in these clinics meant more to me than any other nursing school experience because some of the people seeking care had never been to a health care provider before. Even though we helped assess and treat people at the clinics and financially supported a surgery, it made me sad leaving knowing that we only reached a small percentage of the population that needs care. There is so much left to do, but with that being said, there is an abundance of opportunities for the next group to serve these vulnerable populations. Ultimately, this was the spring break of a lifetime and this trip is for anyone who wants an eye-opening, amazing experience." 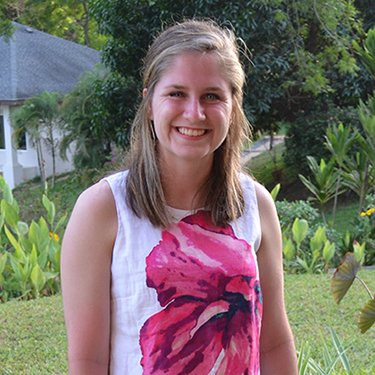 "During my experience in Ghana, I learned that people matter more than time and more than tasks. I learned that 7 am really means 8:45. I learned that when you feel useless and overwhelmed in a clinical situation, offering a smile, a touch, or an affirming word can make all the difference. I learned that every political or business meeting should include dinner and dancing. I tasted the freshest, most delicious pineapple and mango I’ve ever had in my life. I got to swim in the Atlantic Ocean under the setting sun with my new best friends. I felt rays of hope in the saddest of clinical situations. I got to meet and talk with some of the wisest and most open-minded people I’ve ever met. This trip took my nursing experience to a new level and broadened my perspective of the world in which I will provide nursing care. I highly recommend stepping out of your comfort zone and going to Ghana!" "Ghana was an amazing experience. I was initially nervous because this was my first time on a plane and out of the country. Having the opportunity to visit Ghana was a true culture shock for me. Everyone was so nice and seemed to be truly happy. This trip was a true eye opener as well. I am very appreciative of having the opportunity to visit Cape Coast Castle. I’ve learned and read so much about the slave trade and how Africans were treated, but being in the exact location brought so many emotions. It was truly heart breaking to actually visualize what Africans had to go through. The healthcare program was phenomenal. It was an honor to be able to work at the health clinic and in the emergency departments. It was truly a rewarding experience. Overall this was a fantastic experience I hope I can go back next year." "I arrived in Ghana unsure of what to expect. I was particularly thrilled to be going to Ghana as the graduate assistant for AU, Outreach Global. My excitement stemmed from the fact that I had participated in the planning process, in packing boxes of donations sent to Ghana - and then to actually see the vision of Outreach Global in action. My favorite part of the trip was being able to see those who came to the health clinics get the needed help they required. The people of Ghana are very humble and that warmed my heart to see the simplicity with which the people lived. I enjoyed the coconut water best; it was fresh and refreshing. I loved meeting and interacting with the local people, their hospitality was at its peak. 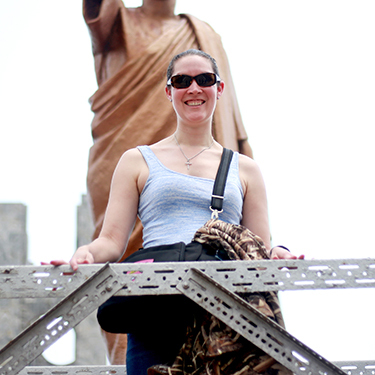 Our visit to various historical sites in beautiful Ghana was both educational and fun. Also, I learned quickly that Ghana has a lot of mountains. People’s houses were on the mountains or overlooked the mountains, literally! What a view! This was indeed a great, unforgettable trip!" "I focused on my ER experience but seriously I don’t think I can put into words how awesome this trip was!!! The 2018 outreach trip to Ghana opened my perspective to a new culture, different healthcare and ultimately the real meaning of joy and appreciation. Getting to experience and contribute to healthcare in Ghana is an experience that I will have forever. I was able to assist in a head to toe trauma assessment of a patient who was hit by a truck. She was unable to pay for a scan so the doctor had to rely on our assessment to provide treatment. I was truly inspired by the doctor’s and nurse’s ability to make the most of their resources to help their patients. I was also hugely motivated by the gratitude of each patient we met and their appreciation of our help. 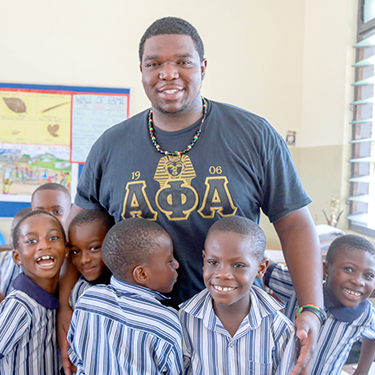 I truly thought I was going to Ghana to impact others but truly I think Ghana made a bigger impact on me." 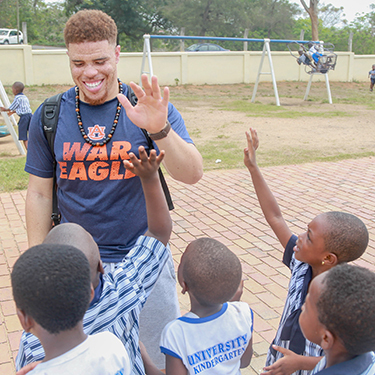 "As a faculty who assisted in leading Auburn University School of Nursing students, in conjunction with Auburn University Outreach Global, my expectations were far exceeded with the entirety of this program. Our students gained invaluable and lifelong experiences in the cultural, social, and educational aspects of outreach. 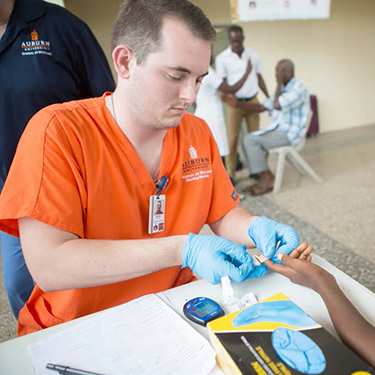 They were able to provide medical screening and care to the people of Ghana and participated in events they would otherwise never have the occasion to experience in the United States. There are no words to adequately describe my experience as a faculty while in Ghana. A beautiful country welcomed by beautiful people, accompanied by opportunities to help those in need – truly an amazing experience I will encourage other faculty and future students to be a part of. You are truly amazing, Dr. Quansah, and I value this experience and having the opportunity to work with you." "Our time in Ghana for Outreach Global was very rewarding and enlightening. The culture was amazing and the Ghanaians were so receptive and appreciative of the healthcare they received. It is my desire to continue the relationship for years to come. 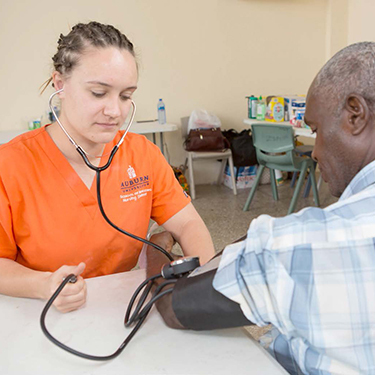 Our nursing students were outstanding and worked so diligently to meet the needs of the patients while working in conjunction with the healthcare team in Ghana. After experiencing this global outreach, I am amazed at the things we take for granted here in our own little narrow world."